Israeli air raids across the Gaza Strip killed 24 people on Sunday, including five women and nine children, as Israel pounded the Gaza Strip for the fifth day. 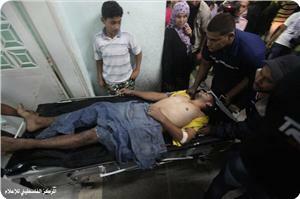 Since Wednesday, 72 Palestinians have been killed in Israeli airstrikes, tank fire and naval shelling. On Sunday evening, an Israeli airstrike on Nuseirat refugee camp in the central Gaza Strip killed 54-year-old Atiyyeh Mubarak and 37-year-old Husam Abu Shawish. Minutes earlier, seven members of the Abu Shehada family were injured when their home was bombed in the al-Maghazi camp in central Gaza. An Israeli airstrike hit a vehicle in Jabaliya in the northern Gaza Strip on Sunday afternoon killing Suheil Hammad, 45, and his 15-year-old son Muamin. They were driving a water tanker to sell water to residents, a Ma'an reporter says. Four women and four children were among 10 killed in an Israeli missile attacked that leveled the al-Dalou family home in the Sheikh Radwan neighborhood of Gaza City. Israeli airstrikes killed two men in separate airstrikes on Gaza City's Shujaiyya neighborhood, killing Saadiyya al-Theib and 24-year-old Sami al-Faqir, medics said. Muhammad Abu Naqira died after Israeli jets bombed his home in the Shaboura neighborhood of Rafah in southern Gaza, witnesses said. In northern Gaza, medics recovered the body of 52-year-old woman, identified as Nawal Abdul 'Al, from the rubble of an airstrike on a police station in the al-Tufah neighborhood. Medics said 27-year-old Ahmad Nahhal and 9-year-old Tasneem Nahhal died and eight others suffered injuries in a strike on al-Shati refugee camp, on the coastline of Gaza City. A strike on al-Bureij refugee camp killed 18-month-old Eyad Abu Khousa and wounded his brother, a Ma'an correspondent said. Earlier, two children died and more than 12 people sustained injuries as two houses came under fire in northern Gaza early Sunday, medical official Ashraf al-Qidra said. 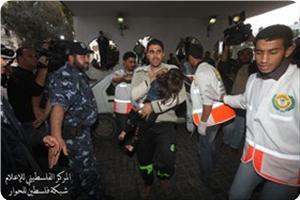 Medics identified the two children as Tamer Abu Asaifan and one-year-old Jumana Abu Asaifan. Witnesses said Israel's aerial bombardment of Gaza continued with intensity overnight. Earlier airstrikes hit two media headquarters in Gaza City, including Ma'an's office, injuring at least six journalists. Israeli shelling pummeled Beit Lahiya in northern Gaza, while fighter jets struck southern Gaza. Meanwhile, Israeli gunboats shelled the coastline of Gaza City and central Gaza, eyewitnesses said. Israel's army said fighter jets fired on approximately 70 sites in the Gaza Strip overnight, and 50 sites during the day. No rockets were fired from Gaza into Israel after midnight Saturday, the army said, until several projectiles hit the south after 8 a.m. One rocket salvo unleashed Sunday wounded two people when it hit a house in the coastal city of Ashkelon, police said. Hamas' al-Qassam Brigades says it has carried out 900 rocket attacks on Israeli military bases and across the border since Wednesday, reaching Tel Aviv and an Israeli settlement south of Jerusalem for the first time. Prime Minister Benjamin Netanyahu says Israel is ready to widen its offensive. "We are exacting a heavy price from Hamas and the terrorist organizations and the Israel Defense Forces are prepared for a significant expansion of the operation," he said at a cabinet meeting, giving no further details. On Sunday, Israel's military chief Benny Gantz instructed forces to intensify attacks on "terror targets" in Gaza, Israeli news site Ynet reported. Egyptian President Muhammad Mursi had said there were "some indications" a ceasefire could be reached soon between Israel and Gaza Palestinians but he had no firm guarantees. The head of the Arab League and a group of Arab foreign ministers will visit Gaza on Tuesday to show solidarity with Palestinians under Israeli attack, officials said Sunday. Arab league ministers had called at an earlier meeting for a mission to go to Gaza. Arab League chief Nabil al-Arabi told reporters in Cairo the visit would take place on Tuesday. A League source said al-Arabi would lead the delegation. Palestinian medical sources announced on Sunday at dawn that the continued Israeli bombardment against Gaza have left 48 killed, including 11 children, while 451 others were injured since Wednesday. 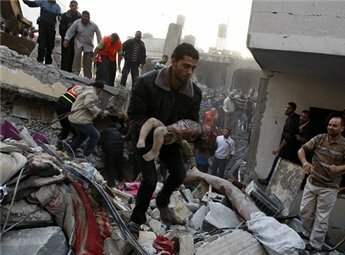 Two children were killed when an air raid targeted their home in northern Gaza, while 13 others were injured. Several air strikes were reported across the Gaza Strip, escalating after midnight. Moreover, six journalists were injured when Israeli warplanes fired missiles at "Ash-Shawwa and Al- Husari" building in Gaza City. The building was being used as offices and broadcast centers by many local and international media agencies. Furthermore, Israeli Navy warships approached the Gaza City beach and fired shells and dozens of rounds of live ammunition gunfire at residents’ homes. Earlier in the night, the Israeli Air Force fired missiles into a house located in the northern part of the Gaza Strip leading to 10 injuries. It is worth mentioning that Higher Committee For Medical And Emergency Services In Gaza reported, on Saturday at night, that the number of Palestinian killed since Israel started its offensive on Wednesday arrived to 46, while 451 Palestinians have been injured. The Ministry added that 11 children, three women, and three elderly, are among the slain Palestinians, and that 150 children, 80 woman, and 24 elderly are among the wounded. An Israeli missile strike on Gaza on Wednesday left an aching hole in the home and hearts of the family of 11-month-old Omar Masharawi, who was fatally burned all over his little body. “My children are not terrorists. They are not devils. They are good people,” said Ali Masharawi, 55, the grandfather of baby Omar, who was killed along with Ali Masharawi’s 20-year-old daughter-in-law, Hiba al-Turk. Ahmad, one of Ali’s sons, was also seriously injured. Baby Omar, the son of Jihad Masharawi, a BBC staffer in Gaza, is one of several children killed since intensive Israeli bombardment began on Wednesday, including Hanin Tafish, a 10-month-old girl. The missile hit the Masharawi family home in southern Gaza City shortly after Israel shattered a tenuous ceasefire on Wednesday by carrying out the extrajudicial execution of Hamas military commander Ahmad al-Jabari. The killing of al-Jabari and his bodyguard sparked the current spate of retaliatory rocket fire by Palestinian factions amid round-the-clock Israeli airstrikes. “I have always been peaceful and I even worked in Israel during my youth, but now I feel I want to explode,” Masharawi said at a condolence reception in Gaza City. On Friday afternoon, Omar’s devastated mother, Ahlam, was staying with her sister. “When my eldest son Ali turned three, he often came to me to say mom, I want a brother to play with. I talked with my husband Jihad about this and we both agreed that we should have a new baby,” Ahlam said. “Omar came to life and now he has left life so early,” she added. Shattered by loss, Ahlam was able to remember the things about Omar that give his family joy. In another corner of the neighborhood at a relative’s home, Omar’s grandmother, Umm Jihad, received female mourners. She sang a few words of a lullaby which she used to sing to Omar. “I used to put him on my lap at bedtime and sing for him. He filled our home with joy and everybody in the family loved him. When he was born, I felt so happy and told Jihad, my son, thank God that I now have two grandsons from you, my dear son,” said Umm Jihad, weeping as she spoke. Hiba al-Turk, who died along with Omar, is the wife of Jihad’s brother, Imad. Over the past couple of months, Hiba had been sick and preferred to stay with her own family nearby. “She married my son Imad only five months ago so she was still a bride,” said Umm Jihad. Jihad, Omar’s father, appeared stoic as he received mourners. He told those who came to pay their respects that the massive Israeli firing that struck his house and killed his son was similar to what he recalled seeing during Israel’s previous major assault on Gaza in January 2009. “I hold all of Israel including politicians, military and ordinary people responsible for such atrocities that led to the death of my son, who was burned completely,” Jihad said. According to neighbors and witnesses, a mass of fire hit the roof of the Masharawi family home in a densely packed area in southern Gaza City. Rami Almeghari is a journalist and university lecturer based in the Gaza Strip, this article was first published on the electronic intifada, IMEMC got the permission of the writer to run it. According to medical sources, five people were killed, including a woman killed in her home, and at least 19 injured in over a dozen separate Israeli airstrikes on populated areas in Gaza on Saturday evening. In southern Gaza, a 30 year old woman identified as Samhar Qidih was killed during an Israeli aerial bombardment of her home. Also in southern Gaza on Saturday evening, three separate Israeli airstrikes took place in Rafah, two of which resulted in civilian casualties. One of these airstrikes was a targeted assassination attempt of Atiyeh Abu Naqira, one of the leaders of the al-Qassam Brigades, the armed wing of the Hamas party. His home sustained extensive damage, but no one was present in the home when it was bombed. Another airstrike on a home in Rafah wounded two women and 4 children. And a third airstrike in Rafah killed a Palestinian man who has yet to be identified. In central Gaza, an Israeli air strike in Jahor al-Dik neighborhood killed two young men, identified as Ali Bin Saed, 25, and Muhammad Aydat, and injured three others. In addition, the Israeli military issued a statement that they targeted the vacant residence of Izzadin Hadad, who they claim was a senior Hamas operative, in the Zeitoun neighborhood of Gaza City. Seven Palestinian civilians were wounded in that attack. Another man, Tamer al-Hamri, died in the hospital late Saturday night from wounds sustained in Saturday morning's bombing of Dir al-Balah in central Gaza. Furthermore, according to journalist Safa Joudeh, an airstrike targeting a media center in Gaza City caused Cameraman Khader Zahar to lose one of his legs. The building known as Shwaa and Hosari tower, houses a number of media organizations, including Al Quds radio, which is now off the air. Other journalists injured in the airstrike have been identified as: Darweesh Bulbul, Ibrahim Lubad, Mohamad Akhras, Hazem Daour and Ashraf Abu Amra. Reports from journalist Wael Ouda indicate that Saturday night airstrikes hit the Ash-Shaty' refugee camp and Sudanya area, and naval bombardment along the Gaza coast continued from 2 to 3 am. The ongoing Israeli aerial attacks on the Gaza Strip have resulted in 46 Palestinians killed and more than 455 wounded, including 150 children and 80 women. Even the killing of known Hamas leaders and fighters is a direct violation of the Fourth Geneva Convention, which requires a trial for anyone accused of involvement in violent resistance, and condemns extrajudicial assassinations. The death toll of Israel's aerial attacks on the densely-populated Gaza Strip has risen to 39 Palestinians, while 345 others have been wounded as the military aggression entered its fourth day. A medical source told the Palestinian information center (PIC) that medical personnel transferred the bodies of four resistance fighters from Al-Qassam Brigades of Hamas and three others wounded to hospitals following air raids on Saturday on Maghazi refugee camp in central Gaza and Tal Sultan neighborhood in Rafah area. Three Palestinian civilians also died on the same day of serious injuries they sustained in an air raid on houses in Azzuhour neighborhood in Rafah area. Another air raid today on Khirbat Ads neighborhood north of Rafah also rendered four Palestinians wounded, one of them is in bad condition. Three other civilians including a woman and a child also suffered injuries when their house was bombed by an Israeli warplane in Assalam neighborhood in Deir Al-Balah district. In an earlier attack, 30 civilians, mostly women and children, suffered different injuries after an Israeli warplane bombed a house in Jabalya Nazla area to the north of Gaza, and luckily medical and civil defense personnel were able to pull them out from under the rubble. In another fresh incident on Saturday morning, Israeli warplanes fired five missiles at the international stadium of Palestine west of Gaza city, inflicting considerable damage on its southern side. For its part, Al-Qassam Brigades, the armed wing of Hamas, said it fired four rockets dubbed as "107" during the morning hours of today at the Israeli artillery post to the east of the Bureij refugee camp in central Gaza. It also fired one Grad missile at Ashdod city, 12 others at Hatzerim air base in the Negev desert and seven at Tselm military base. Al-Qassam Brigades also targeted Sderot settlement with five Grad missiles, and Re'eim military post with five mortar shells. Different resistance groups including the armed wing of Islamic Jihad and Al-Ansar Brigades declared their responsibility for showering Israeli military posts and settlements with Grad missiles and homemade rockets. The Israeli army, for its part, still refrains from announcing the real number of causalities in its ranks caused by these resistance counterattacks, and claimed on Saturday that only one soldier sustained moderate injuries in a rocket attack on Ashdod city. Union of Health Care Committees (UHCC) charged that the Israeli occupation was deliberately targeting the children and women of Gaza by using internationally prohibited weapons. UHCC reported in a press statement on Saturday that such large numbers of dead and injured children in the ongoing Israeli aggression in Gaza demonstrates the clear Israeli targeting of civilians particularly innocent children. The Israeli targeting of children and women is a flagrant violation of all international norms and conventions, UHCC said, calling on human rights and humanitarian organizations and the World Health Organization and UNICEF to protect the children of Palestine from being targeted by the occupation". The union expressed deep concern because of the use of the internationally prohibited weapons by the Israeli army in total violation of the international laws. Meanwhile, the Islamic Resistance Movement, Hamas, considered the targeting of the home of Salah family northern Gaza Strip where 30 Palestinians were wounded as an evidence of the systematic targeting of civilians. Dr. Sami Abu Zuhri, a spokesman for the movement, said in a written statement on Saturday that "targeting Salah family's home and other houses, bears witness to the systematic Israeli targeting of Palestinian civilians." The Israelis will pay a heavy price for their government's crimes that crossed all lines," he added. Two Palestinians were killed and nine others were injured on Saturday evening during a series of raids, carried out by Israeli warplanes on different parts of the Gaza Strip, targeting three motorcycles and a civilian car. A field observer said that the IOF warplanes started the airstrikes by firing one missile towards a motorcycle east of the town of Deir al-Balah, near the area of ​​Abu al-Ajin. He added that a youth was killed due to this shelling and three others were injured and transferred to the Shouhada Al-Aqsa Hospital in Dair El-Bala'h. He also reported that Israeli aircraft fired a missile at a motorcycle in the town of "Juhor al-Deek" southeast Gaza City, killing another Palestinian youth, 25, and wounding two others. The occupation warplanes bombed a third motorcycle near the area of Morag north of Rafah where two Palestinians were injured and taken to the hospital. The warplanes also bombed a civilian car in the Zaytoun neighborhood southeast Gaza City, where two Palestinians were wounded and transferred to the Shifa Hospital. Thus, the number of the martyrs killed during the Israeli aggression, which have been launched last Wednesday November 14, has increased to 43 martyrs. Al-Qassam Brigades, the armed wing of Hamas said it fired on Sunday morning five rockets directly at an Israeli warship off the coast of central Gaza. The Brigades stated in a communiqué that its fighters fired five rockets of type "107" at an Israeli warship off the coast of Nuseirat refugee camp, affirming that the rockets hit their target directly. The Israeli army radio admitted the attack on the warship without saying if the ship was damaged or if there were casualties among the naval forces. The number of Palestinians killed by Israeli Occupation Forces in the course of the offensive on the Gaza Strip that has been ongoing for the fourth consecutive day has increased to 37, including 17 civilians. The civilian deaths include 6 children and 2 women. Additionally, 394 Palestinians, including 381 civilians, have been wounded – this number includes 107 children and 64 women. Dozens of civilian and governmental facilities have been also destroyed. Israeli airstrikes over the past 24 hours have been intense and severe, and have targeted civilian and governmental facilities located in densely-populated areas, causing civilian causalities, contrary to Israeli forces’ claims that they do not target civilians and civilian property. 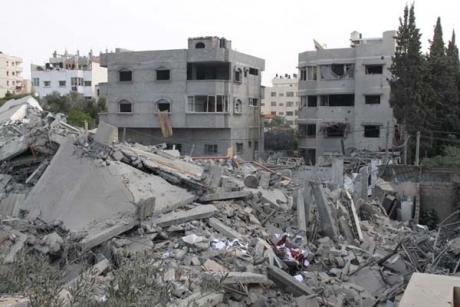 Israeli missiles have also hit populated houses. Since Friday evening, 16 November 2012, Israeli forces have launched 47 airstrikes, targeting agricultural plots, open areas, a house, and a garden. As a result of these attacks, 2 Palestinian civilians, including 1 woman, have been killed, and 64 civilians, including 27 children and 12 women and a member of a Palestinian armed group, have been wounded. The 2 civilians were killed on Friday noon, when an Israeli warplane attacked a number of civilians who were in the garden of a house belonging to Ghazi Abed Salman on Beit Lahia main road. They were identified as: Tahreer Ziad Salman, 22, and Mohammed Talal Saad Salman, 27. Another 3 civilians were wounded in the attack. In a serious development, this morning, Israeli warplanes fired 3 missiles at a house belonging to Suleiman Abdul Hamid Salah near al-Khulafa Mosque in Jabalya town. The house was destroyed with its residents inside, and 31 civilians, including 12 children and 7 women, were wounded. The wounded include 12 residents of the house. Additionally, dozens of nearby houses were heavily damaged. Israeli forces have launched dozens of airstrikes on Gaza City, targeting governmental and civilian facilities and other objects mostly located in densely-populated areas. the building of the Civil Department of the Ministry of Interior in the south of the City, which was attacked for the second time, causing damage to al-Quds Hospital and a number of public and UNRWA school; and Palestine Stadium in al-Remal neighborhood in the center of the City, which was extensively damaged. As a result of an Israeli airstrike on Friday evening, Younis Kamel Tafesh, 55, was killed while he was riding his bicycle in al-Zaytoun neighborhood when Israeli warplanes bombarded a farmland in the area. Additionally, a member of a Palestinian armed group died this morning of wounds he had sustained on Friday evening when Israeli forces bombarded al-Shujaiya neighborhood in the east of Gaza City. In other attacks, 16 Palestinian civilians, including 3 women and 7 children, and a member of a Palestinian armed group were wounded. Israeli forces have launched 26 air strikes and some marine attacks on the central Gaza Strip, targeting farmlands, space areas, two houses, a motorcycle and a mosque. The mosque was completely destroyed, and a number of nearby houses and two UNRWA schools were damaged. As a result of these attacks, 8 Palestinians, including 3 civilians, were killed, and 18 civilians, including 5 women and 4 children, and a member of a Palestinian armed group have been wounded. The 3 civilians were killed together with Ahmed Mohammed Jaddou Abu Jalal, 34, a leader of the Izziddin al-Qassam Brigades (the armed wing of Hamas); they were sitting near Abu Jalal’s house in al-Maghazi refugee camp, when an Israeli warplane fired a missile at them. The civilian victims were identified as: Amjad Mohammed Jaddou Abu Jalal, 33 (Ahmed’s brother); Ziad Farhan Suleiman Abu Jalal, 23; and Hassan Salem Abu Hmaile, 28. Israeli forces have launched 16 airstrikes, targeting agricultural areas. On Friday morning, a member of a Palestinian armed group was killed, and another wounded, when Israeli warplanes bombarded a farmland area in al-Satar al-Gharbi area in the north of Khan Yunis. Four members of Palestinian armed groups and 1 child were also wounded as a result of 2 separate airstrikes in the west and east of Khan Yunis. Additionally, an Israeli airstrike targeted the yard of the campus of the Islamic University in Maan village, east of Khan Yunis. Israeli forces have launched 45 airstrikes on Rafah, including 20 that targeted the border between the Gaza Strip and Egypt, where the tunnels are located. Other airstrikes targeted 3 houses belonging to members of Palestinian armed groups, farmlands, open areas, and members of Palestinian armed groups. As a result of these attacks, 4 members of Palestinian armed groups and 1 civilian have been killed, and 24 civilians, including 2 women and 6 children, have been wounded. 7 of the wounded civilians, including 1 child, were hit by shrapnel while they were inside their houses when Israeli forces bombarded a house belonging to Mohammed Abu Shammala, a leader of the Izziddin al-Qassam Brigades. 7 civilians, including 1 woman and 2 children, were wounded when an Israeli missile targeting a motorcycle near al-Farouq Mosque in al-Shaboura refugee camp did not hit its target. On Saturday morning, 17 November 2012, a Palestinian civilian, Awadh Hamed al-Nahhal, 29, was killed when Israeli forces targeted and killed 3 members of Palestinian armed groups in al-Zohour neighborhood in the north of Rafah. Earlier, another member of a Palestinian armed group, Mukhles Mahmoud Edwan, 30, was killed by an Israeli airstrike in Bader area in the west of Rafah. 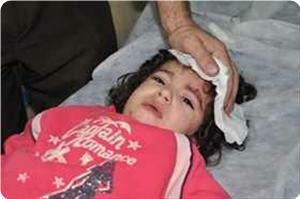 As a result of the Israeli attacks, dozens of houses and civilian facilities have been damaged. 2- Calls upon the international community to act immediately to stop these crimes, and renews the call to the High Contracting Parties of the Fourth Geneva Convention to fulfill their obligation under Article 1 of the Convention to ensure that it is respected at all times, and their responsibilities under Article 146 to pursue perpetrators of serious violations of the Convention, which are determined in Article 147, which lists violations of the Convention amounting to war crimes. The international group 'Jewish Voice for Peace' issued a statement Saturday calling for an end to the Israeli attack on Gaza. The group has also participated in and sponsored protests during the last two days in cities across the US and Europe to demand that Israel end its attack and siege on Gaza. As Israel launches operation “Pillar of Defense” in Gaza, Jewish Voice for Peace (JVP) calls for an immediate cessation of the air strikes and naval bombardment into Gaza and an end to the ongoing siege of Gaza. JVP urges Israel not to exploit its asymmetric power to exacerbate the instability in the region. We urge President Obama to take a stand against these attacks and to use the power of the United States to insist that Israel pursue all diplomatic measures possible for the sake of life, safety and security on all sides. JVP opposes all attacks on civilians, and urges the end of rocket attacks from Gaza into civilian communities in Israel, which only serve to derail efforts for a just resolution to the conflict. And the Lord went before them by day in a pillar of cloud, to lead them the way; and by night in a pillar of fire, to give them light; that they might go by day and by night. The International Hackers known as Anonymous issued a video on Saturday announcing that the group will shot down 10,000 Israeli websites due to the continued Israeli abuse of human rights. 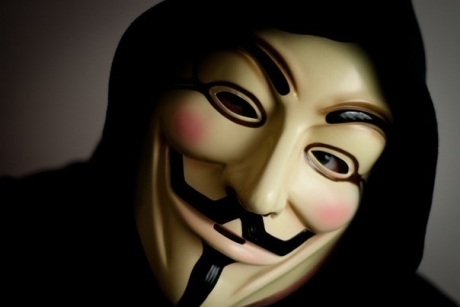 The message came from Anonymous Op Israel, Danger Hackers, Anonymous Special Operations and the Anonymous Collective of the entire planet according to the video released on YouTube.